I am BEYOND EXCITED to write this post. 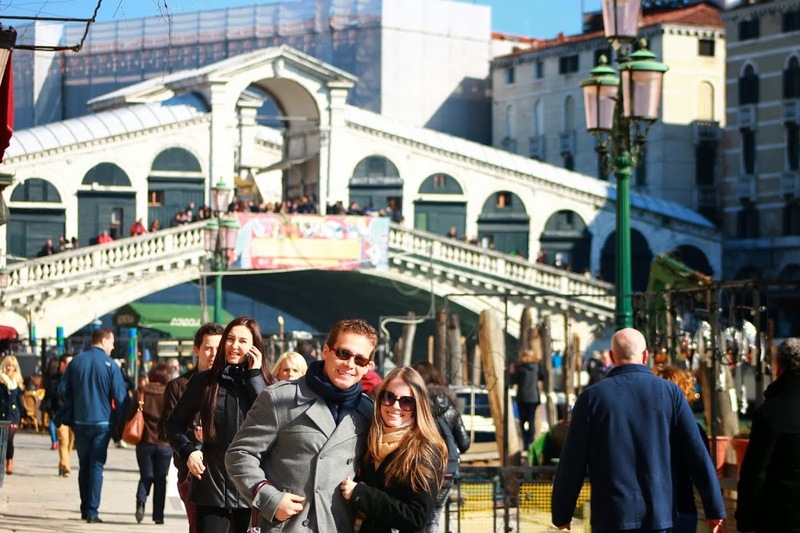 We spent last weekend in VENICE as part of Jaime’s Valentine’s Day present. Isn’t he romantic? I had been to Venice once before, a few years back, but it was part of a school trip and we spent a grand total of about 8 hours in the city. So I don’t really count that. Even though back then I didn’t have a lot of time to do much, I still remembered how beautiful the city was, even in the dead of summer with thousands and thousands of tourists. I knew I wanted to go back at some point for at least a weekend. Jaime had never been and he really was not excited to go. He felt it was going to be one of those overrated tourist trap cities that only girls like because it shows up in romantic comedies. But of course, he can’t live in Italy and avoid Venice for long, so he decided to get it over with as quickly as possible. I am happy to say that at the end of it though, he was as impressed with the city as I had been. About two weeks before our departure date, it started raining all over Italy non-stop (it’s been very depressing, but I think now we can see the beginnings of Spring coming about). I was very worried because obviously Venice floods and they get acqua alta (high tide) around this time of the year as well. It would not have been fun to walk around like that. 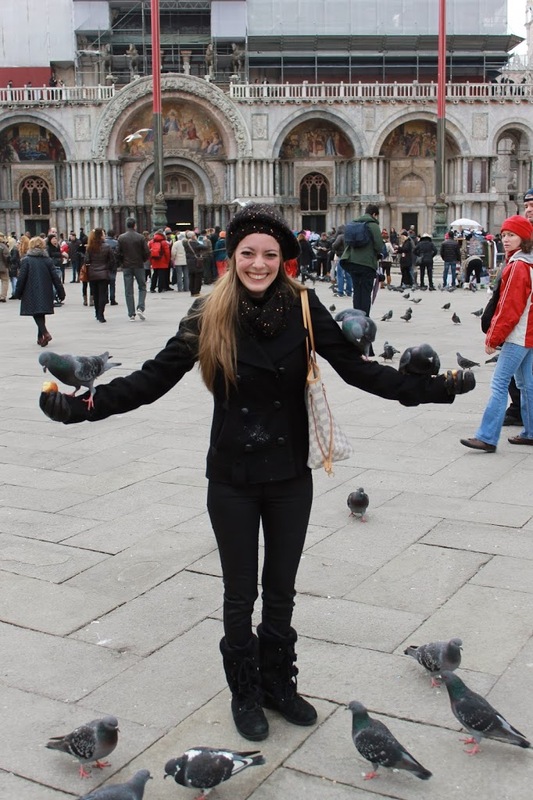 Fortunately, the weather in Venice that weekend was gorgeous! We arrived in Venice on Thursday night fresh off the train and it was raining, as expected. We forgot our umbrella at home so we had to buy one and start our little trek to the hotel. 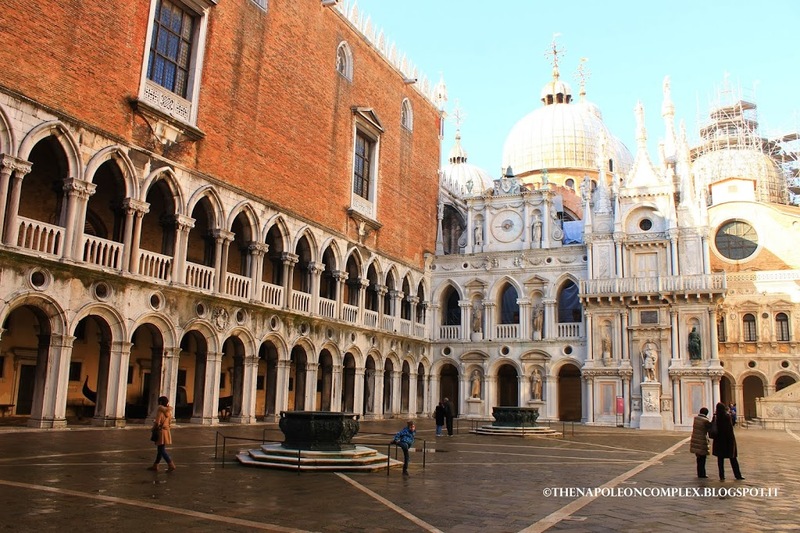 Another expectation when you go to Venice: you WILL get lost. Even with Google Maps, paper maps, mental maps, whatever you want to use, you WILL get lost. That night, Jaime thought our hotel was half a kilometer away from the station and it turned out it was… considerably farther away. Eventually, we had to call the hotel and ask them for an actual street name since addresses in Venice are literally written down as the name of the sestiere (neighborhood) and a number, which doesn’t even go in an particular order. We finally got to our hotel, which is not even worth mentioning since our room had an overpowering smell of tobacco and our hot water didn’t work two of the three nights we were there (word to the wise: I think this is a city where it’s better to stay in a HomeAway apartment or the Four Seasons, depending on what your budget is). The next day, Valentine’s Day, we were ready to start exploring! 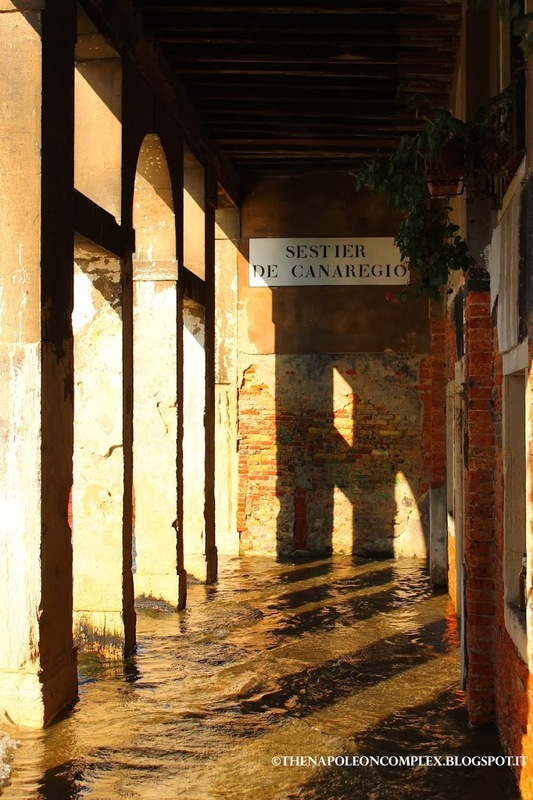 We started with a leisurely walk from our hotel in the sestiere Cannaregio all the way to Piazza San Marco. 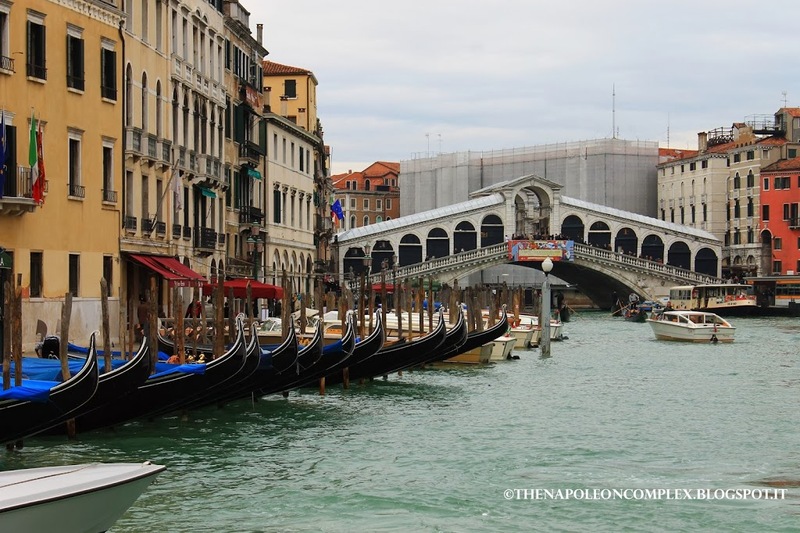 Along the way, we stopped at a few costume stores, took pictures, and walked across the famous Ponte Rialto. The weather was fantastic and the city was beautiful. In front of the Rialto. Feeding the pigeons even though that is technically no longer allowed. 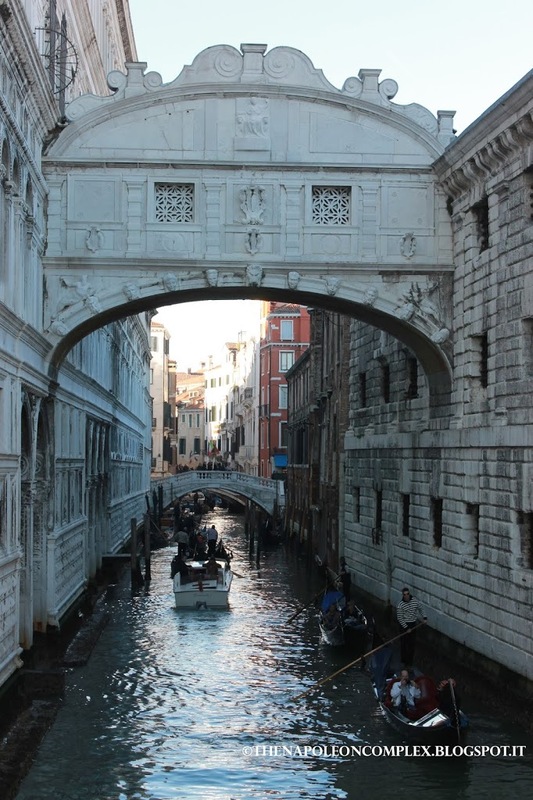 Below: The Bridge of Sighs from the inside (left) and the outside (right). After the Palazzo Ducale, we took a vaporetto, or water bus, to the island across from San Marco, where the San Giorgio Maggiore church is located. 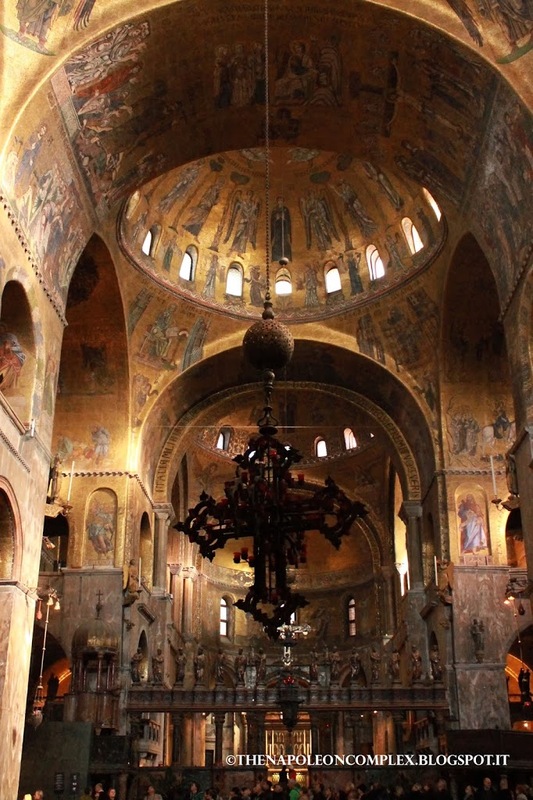 The church is nothing spectacular on the inside because it was undergoing restoration, but what we were really there for was the view. A beautiful unobstructed view of Venice at sunset (the Panoramic at the beginning of the post was also taken from here). 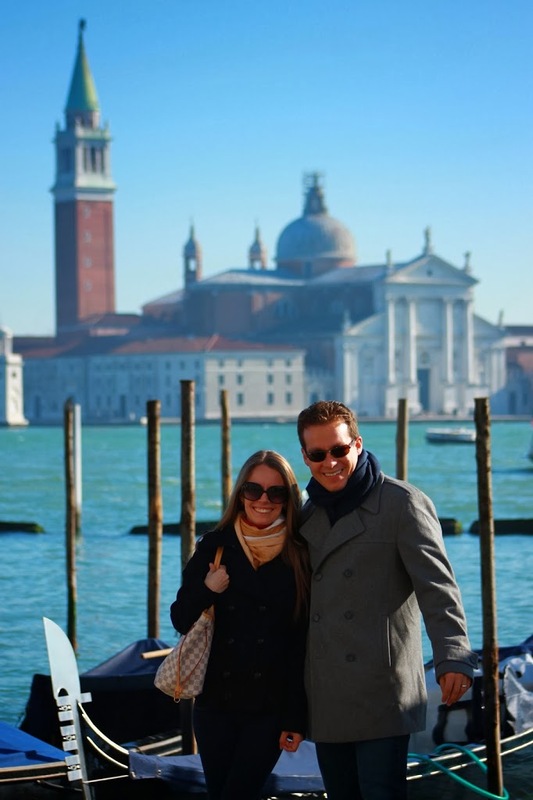 Behind us is the island of San Giorgio Maggiore, taken from Piazza San Marco. 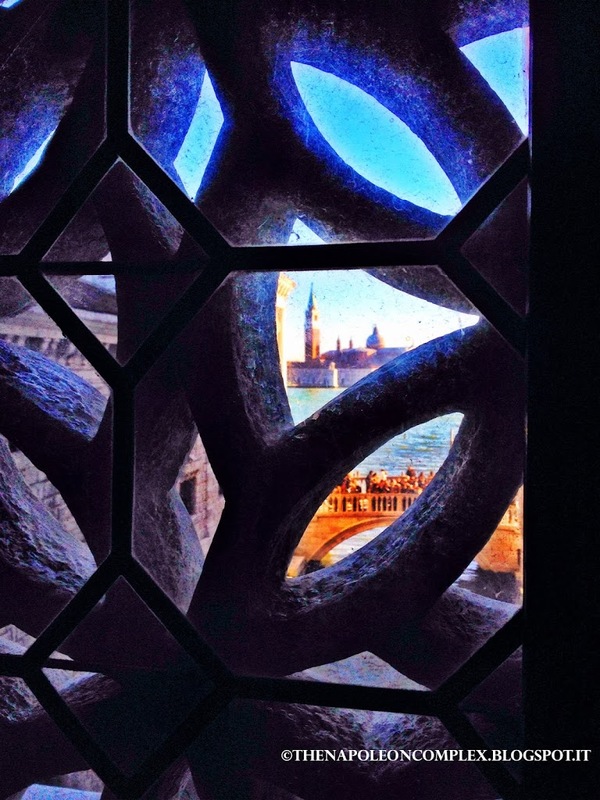 This is the view of Piazza San Marco from the island of San Giorgio. Later that night, we had reservations to eat at a restaurant called La Zucca, which means pumpkin. The food was amazing, in particular the primi of Pumpkin Flan, which is not actually the dessert as we know it, but more of a soufflé. It was delicious! The dessert was equally as good, a Bavarese di Mango (which looks more like the flan I know). Like everything else though, the address and maps were absolutely no help to find the place, we literally bumped into it when we thought we still had another quarter of a kilometer to go. On Saturday night was the official (according to the website) start of the Venetian Carnevale. I was super excited to get to catch some of the carnevale action, but there wasn’t much going on that night unfortunately, just people dressed up and out on the streets drinking and dancing until late. 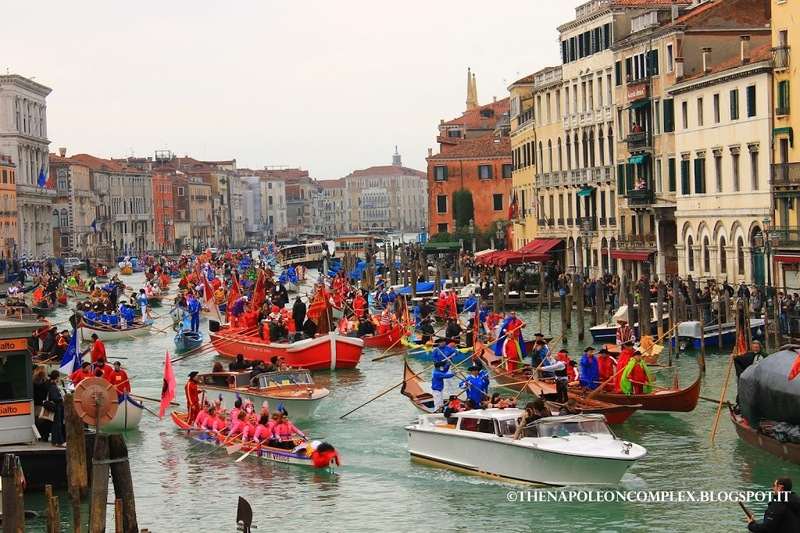 The next morning, before we left we got to see the Festa Sul’Acqua, which was almost like a mini-parade on the water along the Grand Canal. 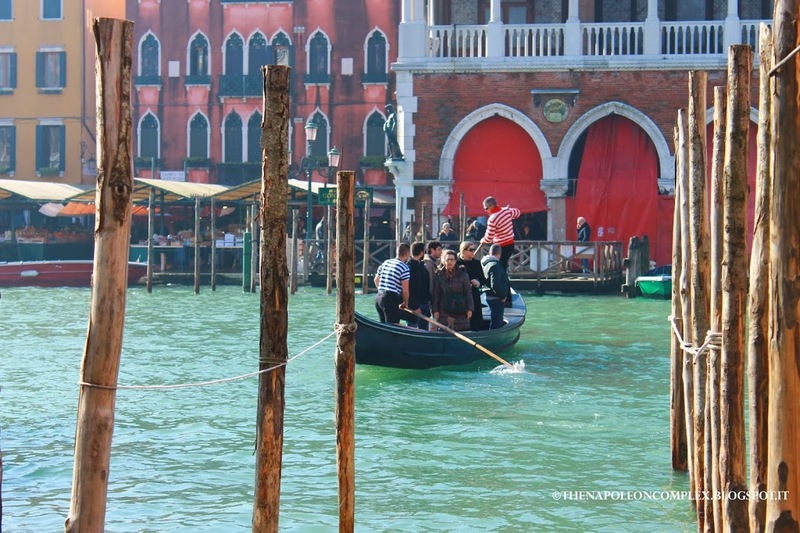 The Venetians were dressed up and riding gondolas, while one man sang O Sole Mio accapella with no microphone. No, I am not kidding. It was actually a rather solemn affair, rather than lively, as everyone was quiet to be able to hear the man’s voice carry along the canal. Regardless, I have been inspired to attend next years festivities in Venice, but we’ll plan to go on Fat Tuesday instead ;). 1. Maps and GPS’s are practically useless around here, but your best bet is to be traditional and find a paper map, then ask for street names of any particular places you want to go to, instead of just numbers. This is obviously for things that are not major tourist sites, since those are very well signaled throughout the city. 2. Gondolas are expensive, we all know that. But vaporettos (the water buses) and traghettos (literally a gondola at full capacity that transports you across the canal while standing up) are not exactly cheap either. 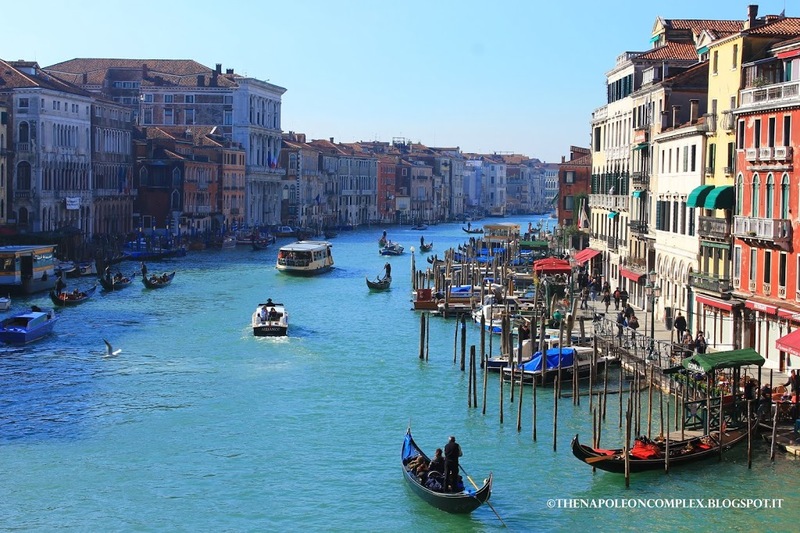 A 90 minute ticket for the vaporetto is 7 Euros and a traghetto ride (which is less than 30 seconds) is 2 Euros, as of February 2014 (UPDATE: I have just been informed by grand master know-it-all, Jaime, that the ticket is actually for 60 minutes, not 90). My advice is to walk as much as you can. 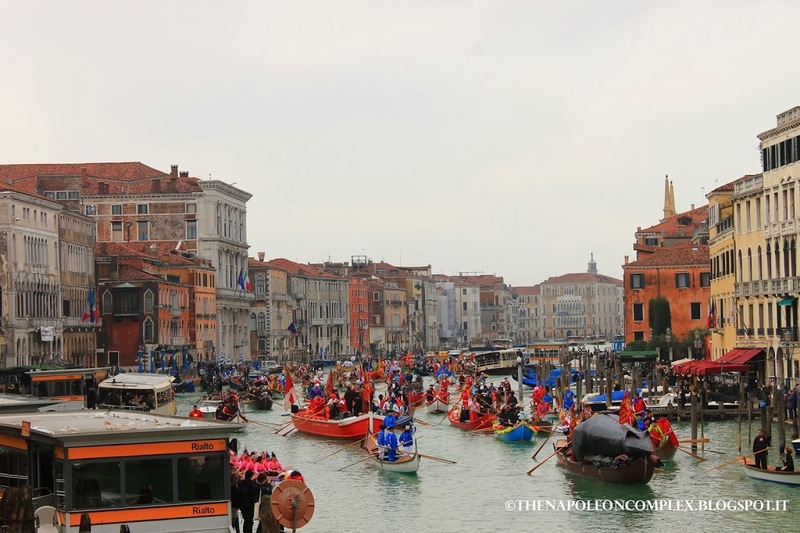 But if you are planning to go to Murano and Burano, buy a 24-hour, 36-hour, or 72-hour ticket, depending on how long you are staying in the city. You will definitely break even and you will get to ride the vaporetto everywhere just because you can. One of the best views of the Rialto is from the Vaporetto, line 1. 3. Please, please, please, do not buy a cappuccino in Piazza San Marco for 16 Euros. I am not kidding, that was the going rate for it at Caffe Florian. I don’t care how famous that place is, or who has been there, it is not worth it. Add that to the fact that an Italian cappuccino is not a big cup and half of it is filled up with foam anyway. It is offensive. For more pictures, make sure to visit My Napoleon Complex’s facebook page and stay tuned for my next post on Murano and Burano! I just found your blog from the “fresh face friday” blog hop, and absolutely love it! I am also an ex-pat (American in Sweden). Your pictures here have inspired me to make Venice our next trip (if possible!). I’m looking forward to keeping up with your adventures! Visiting from Fresh Face Friday!! I love your photos and I’m glad you guys didn’t let the bad hotel experience ruin your stay! 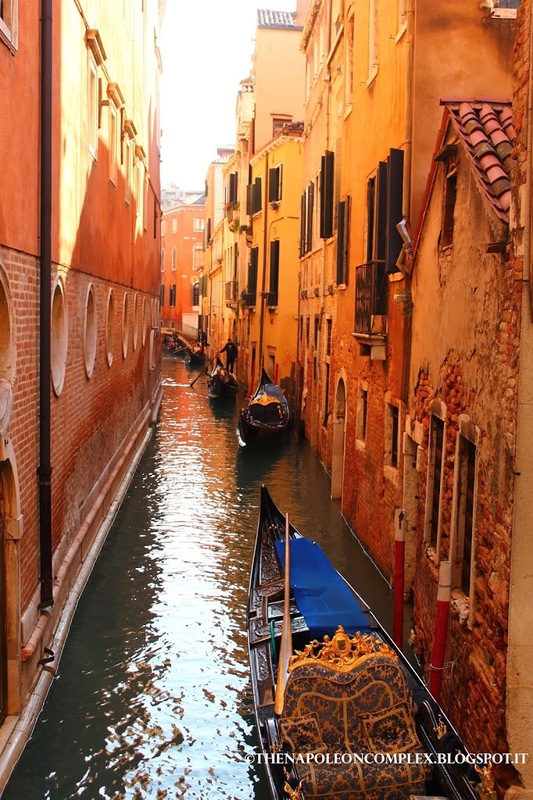 Venice looks amazing! Thanks! We are more than used to bad hotels in Italy, unfortunately! Just gotta roll with the punches around here. Thanks for stopping by! O’Sole Mio is a song from Naples. They sing it just because tourists like it and they give big tips. But it has nothing to do with the local tradition. It’s funny that a gondoliere can be fined if he is wearing tennis shoes, but he can sing O’Sole Mio.